Winner of 3 gold stars in the Guild of Fine Food’s Great Taste Awards 2014, 2013 and 2011. Shortlisted for ‘Best Scottish Speciality.’ Our unsliced side serves approximately 15 people as a starter. Winner of 3 gold stars in the Guild of Fine Food’s Great Taste Awards 2014, 2013 and 2011. Shortlisted for ‘Best Scottish Speciality.’ Awarded “Speciality Food producer” in 2014. Our unsliced side serves approximately 15 people as a starter. 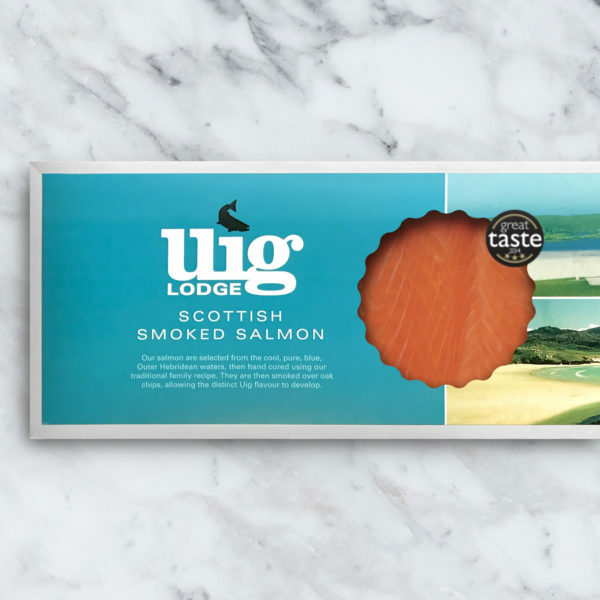 Perfect for those who prefer the stronger succulent flavour of a whole side of smoked salmon and enjoy slicing it yourself. A side of smoked salmon makes a wonderful present and is a great way to feed lots of people. 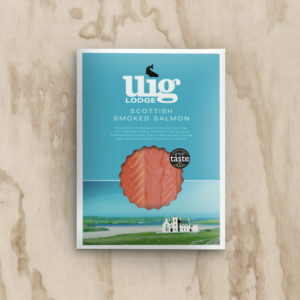 Our smoked salmon will keep in a fridge for up to 3 weeks, or it can be frozen for up to 4 months and saved for a later date. Once opened, it should be eaten within 3 days. 3 gold stars winner in the 2011, 2013 and 2014 Guild of Fine Foods Great Taste Awards and awarded “Best Speciality Producer”. Selected as one of DEFRA’s 50 Food Stars in 2015.